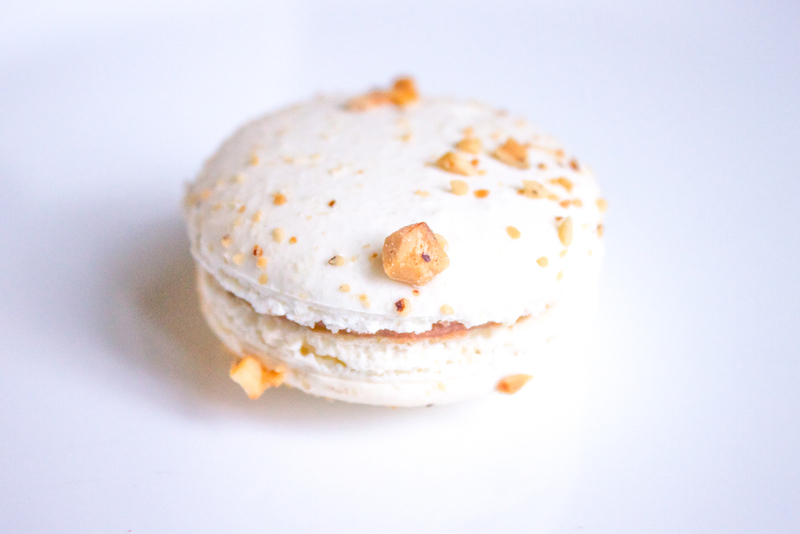 Our Halloween Treats are in the house (ahem, 'patisseries') starting today! Cellophane bundles of spooky, adorable minis, in chocolate, caramel, lemon, raspberry. 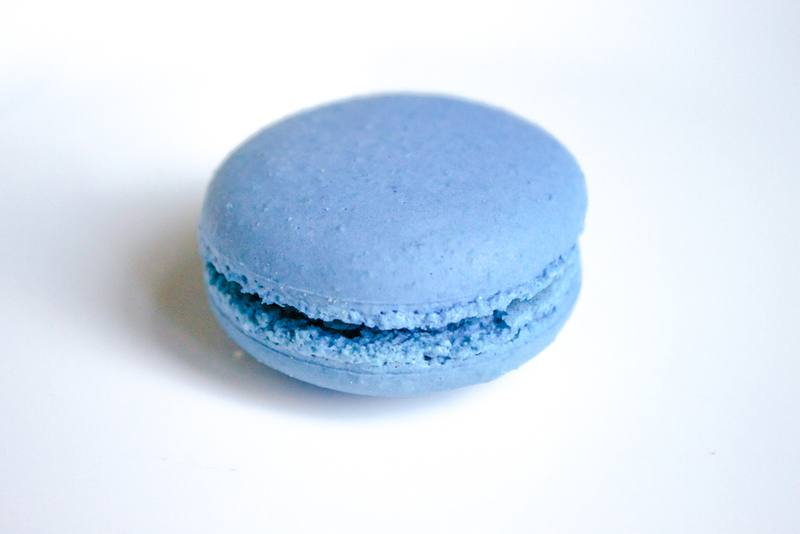 They're awesome for office treats, party favours, and they've been proven to fit perfectly into tiny hands! Speaking of tiny hands, if you have some of those in your life and you're feeling ambitious... here's a pretty adorable costume you can make from Studio DIY. 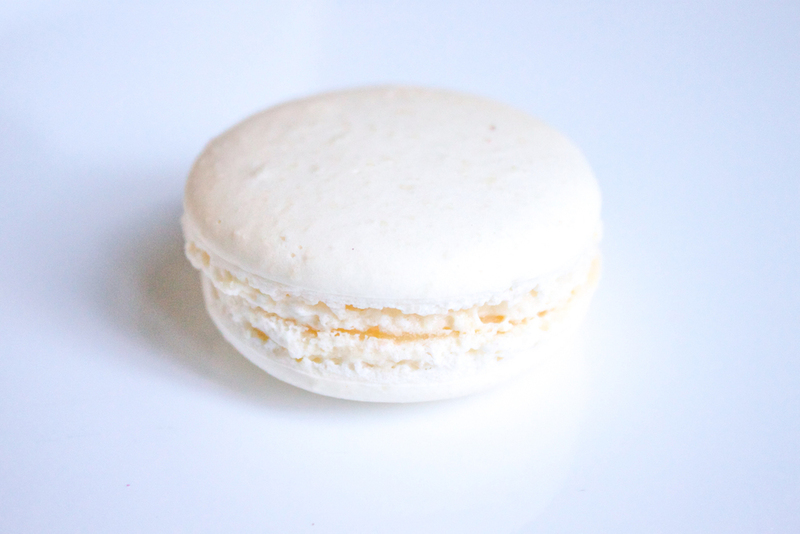 And technically, there's probably no reason at all you couldn't scale this up to kidult / sophisticated and mature macaron connoisseur size. 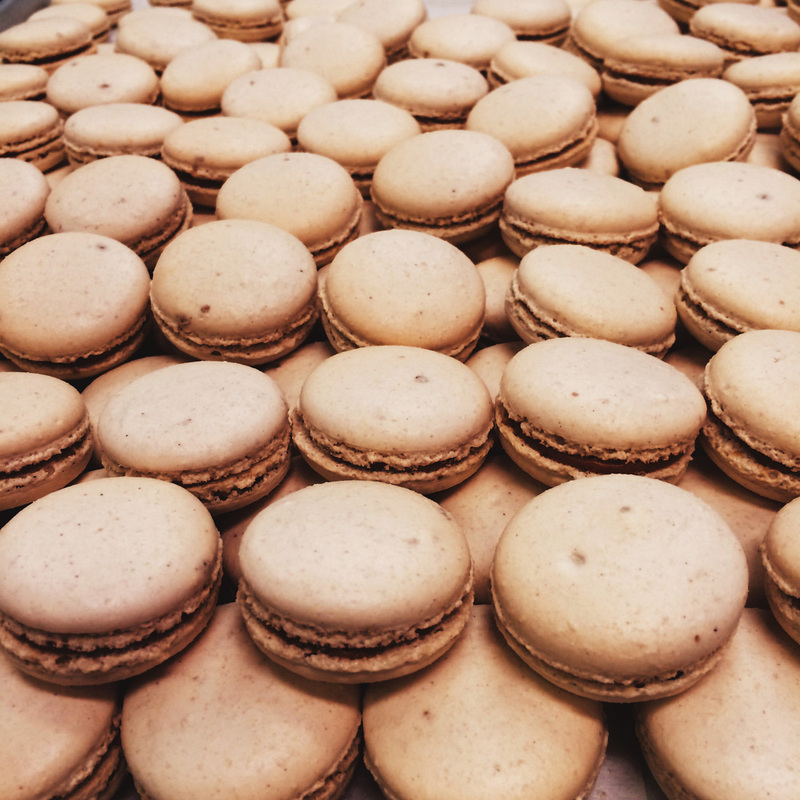 We have a new round of Macaron Classes in January, and they include dates in Vancouver! We’ve also got a special offer on: book and pay by Dec 31st and save the tax! More details here. Dads like delicious things too. This is a fact. 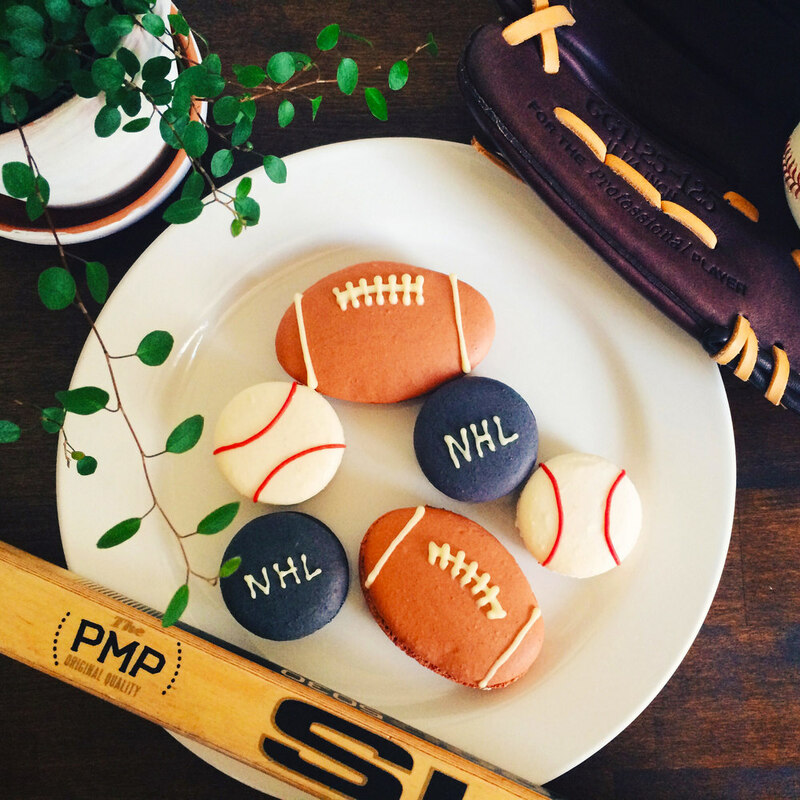 So we've created a few awesome, sporty treats for all the fathers and grandfathers: Whiskey & Chocolate Footballs, Bourbon & Caramel Baseballs, and Rum & Coke Hockey Pucks. You don't even have to choose because they all come together in one handy, gift-wrappable package! This also seems like an excellent opportunity to revisit a French Canadian children's classic: Roch Carrier's The Hockey Sweater—or, in French, Le Chandail de hockey. "In its earlier days, the National Hockey League had only a few teams worthy of attention -- many would say only one: the Montréal Canadiens. The brightest star, and most popular player, in the Canadiens' line-up was Number 9: Maurice Richard. It is easy to understand the distress of the young narrator in this story when, one day in the winter of 1946, he must exchange his red hockey sweater, which looks just like Maurice Richard's, for a new, blue Toronto Maple Leafs sweater!!! A medley of emotions -- disappointment, bitterness, humour, and tenderness -- is richly explored in Sheldon Cohen's full-page illustrations which perfectly complement the poignancy and playfulness of the text." Celebrate Mother's Day with Raspberry-Rose, Strawberry-Rhubarb & Champagne!